On a whim Sunday morning I headed out for just a couple hours of local coastal birding. 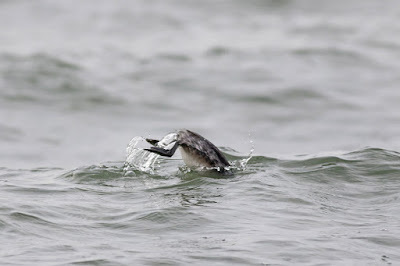 I wanted to check the east side of New Haven Harbor. Close to home and guaranteed to see SOME birds, even if just the common wintering waterfowl. 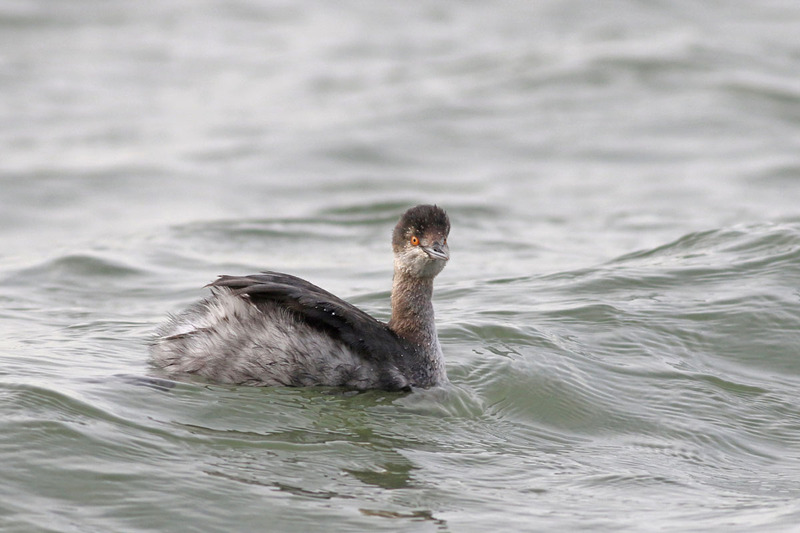 I pulled first into Nathan Hale Park, and one of the first birds I saw was an EARED GREBE diving close to shore. 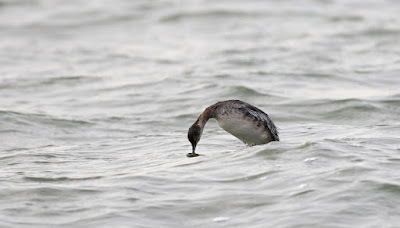 The bird was hanging close enough to be photographed, so I took advantage of this locally rare opportunity. 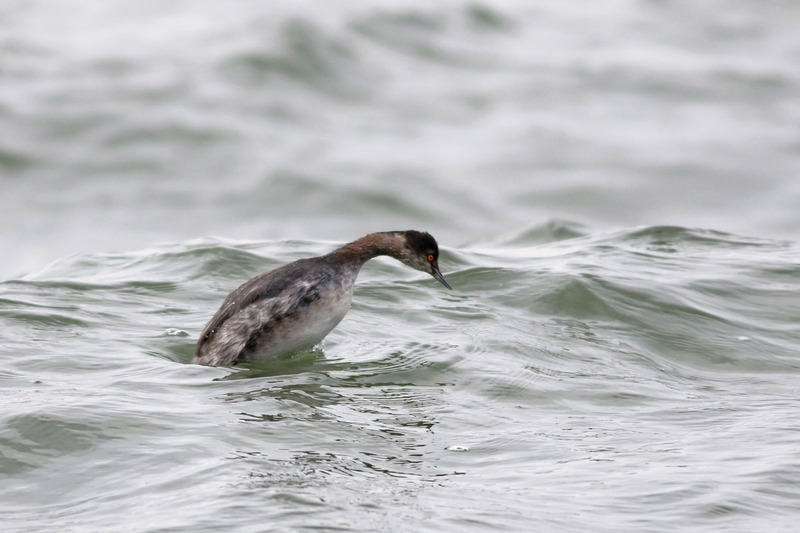 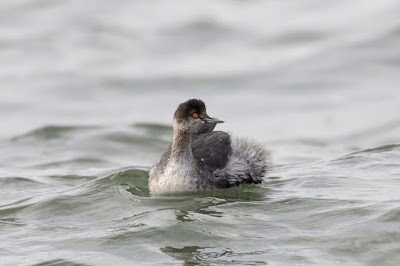 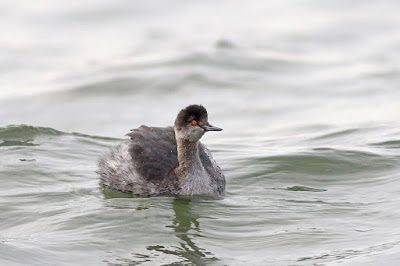 Eared Grebe is a rare bird in Connecticut, currently an ARCC review species. 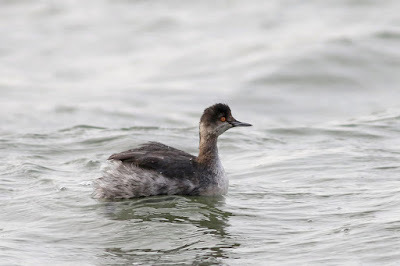 So it is likely that this is the same individual that had been hanging out in Stratford a week or so prior. 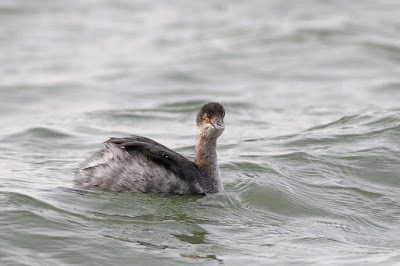 In fact, another CT birder emailed me later on Sunday to tell me that she had apparently seen this grebe at Nathan Hale a few days prior but was not sure of the identification, so it had been around for a bit before I stumbled across it.